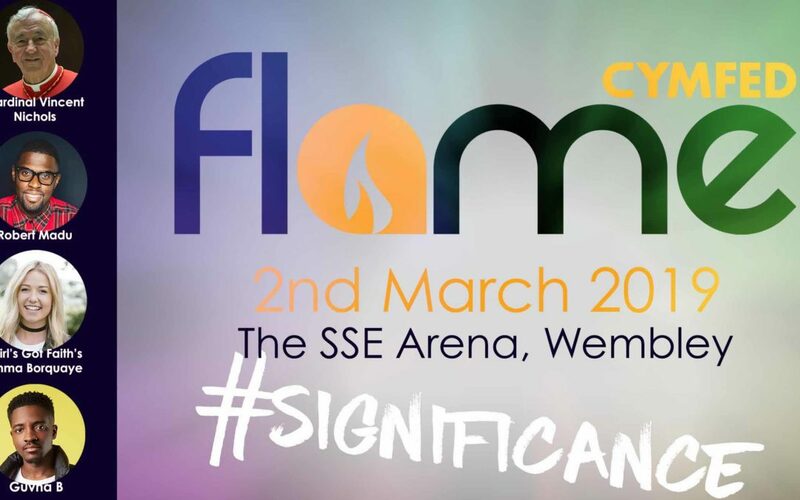 There’s still time to take part in the fourth CYMFed Flame Congress, at Wembley Arena on Saturday March 2. Many parishes and school groups have already booked tickets for their young people to enjoy this wonderful celebration of Catholic faith in a vibrant atmosphere, full of joy, with content presented in a way that resonates for young people. This year Jean Vanier, founder of L’Arche, a network of communities that supports people with intellectual disabilities, will be giving exclusive video input. Archbishop Eamon Martin, Primate of All Ireland, will share his experience of the October Synod on Youth, the Faith and Vocational Discernment. RISE Theatre will present the powerful drama Jesus Is Here as an introduction to Adoration, which will be led by Cardinal Vincent Nichols in the presence of almost all the bishops of England and Wales. Music throughout the day will be animated by Tim Hughes, composer of Here I Am To Worship. Nearly 6,000 tickets have already been sold and if your parish or school has not yet booked, there is still time. Flame is ideal for young people aged 14-plus (year nine and above), which for many parishes will include Confirmandi or older youth groups. For schools groups such as GCSE and A level RE classes it’s a magnificent enrichment day, with input during the day and the vision of Church offered illuminating classroom discussions. A limited number of tickets are available at £25, which includes travel, entrance, and hoodie. Enquiries from parish groups can be made by emailing FRPhilip.Cunnah@rcdmidd.org.uk.